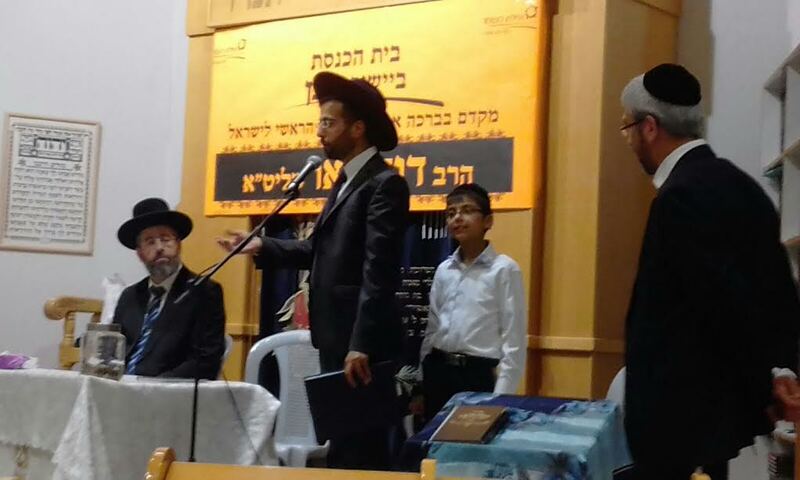 YISHUV MATAN: Chief Ashkenazi Rabbi, HaRav Rabbi Dovid Lau visited this Yishuv, where AH Family Doron lives. It is located between Kfar Saba and Rosh HaAyin. 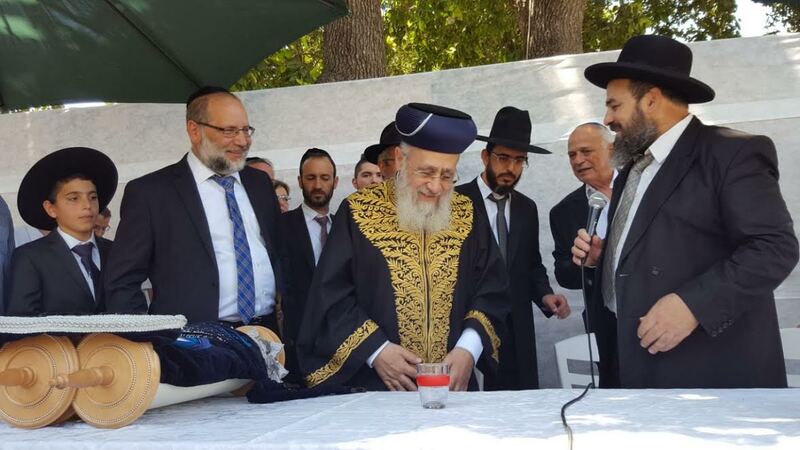 This is the very first time any Israeli Chief Rabbi has ever visited! Most of the Yishuv’s residents are either policeman or work for intelligence services. 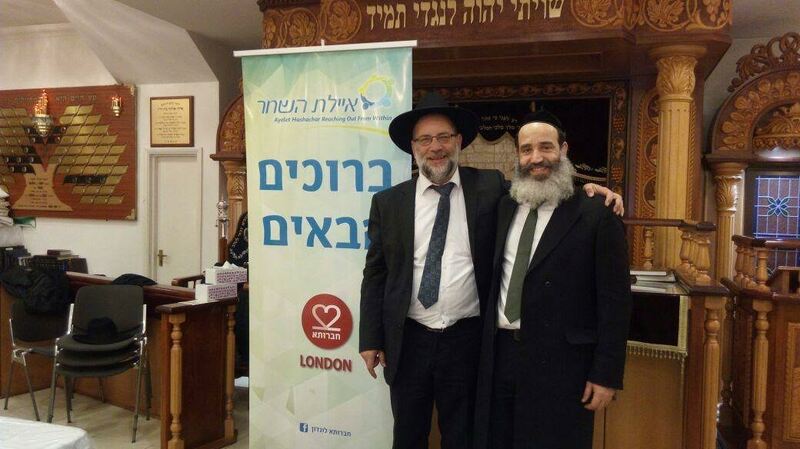 Rabbi Doron is continuously available to the entire community, and his main job has been to promote Ahavat Hinam (love of our people), and in the process he has made a great Kiddush Hashem. He has been able to teach Torah to hundreds of people. Rabbi Lau spoke of the current challenges and conflicts among Jews in Israel and abroad, and said that Yishuv Matan should be a model for conflict resolution for all Jews; a model that demonstrates how Jews with differing views can live together in peace and with great respect for one another. 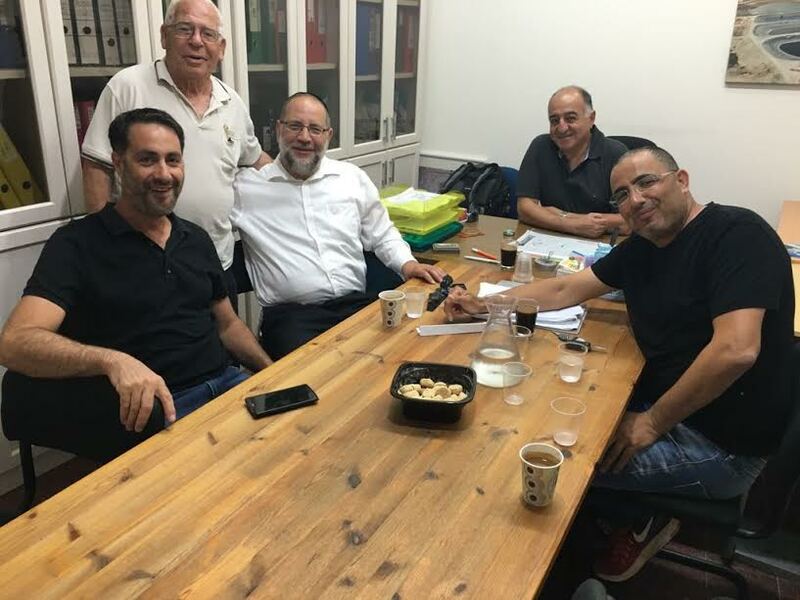 AH is in preliminary discussions to build Schuls in Kibbutz Negba, Kibbutz Bet Kama, Kibbutz Meggido, Kibbutz Oz, and Kibbutz Givat HaShelosha. AH is completing construction on the Schul in Kibbutz Sde Nehemiah. Rav Raanan visited all these communities the week of 25-Jun 2017. This project was created during “Tzuk Eitan” (War in Gaza in 2014). A group of AH volnteers (hareidi mothers) went to visit every mother who lost a husband, son, brother or other close relative in that War. Every year since that War, AH’s hareidi mothers have visited these mothers and presented them with a memorial gift. 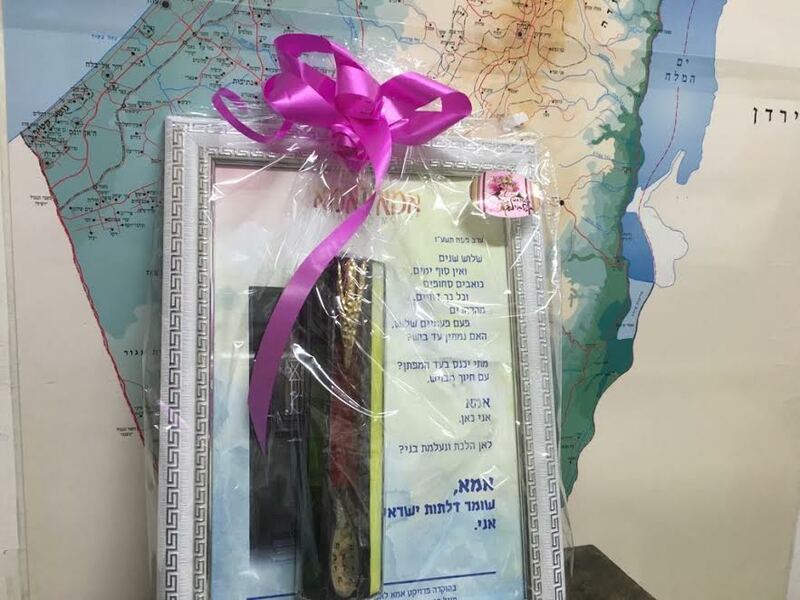 This year’s gift was a specially handcrafted, multi-colored glass mezuzah cover on which was written “Shomrim al HaBayit” (guarding the home): their loved ones had made the ultimate sacrifice to protect us from the dangers in Gaza. The artist who crafted all the mezuzah covers was himself an officer in the IDF who had fought five wars in Gaza. These mothers were deeply touched: it was only AH’s hareidi mothers who remembered them every year; who reached out, connected with their pain and loss. They expressed how much it meant to them that they were not completely forgotten because AH’s mothers continued to visit them. Our center for Israelis has been a great success. Hundreds of people enjoy the spirit of Shabbatot, Hagim, Torah Lessons for Adults, and education for children. AH is hoping to expand this programming in London to include lectures, tours to Israel, musical and artistic events.